The Jeep Wrangler has long been favored for its durability and off-road capability. The latest versions are now more capable than ever. 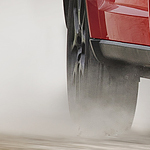 Whether driving about town or looking for adventure, the compact SUV can handle the challenge. 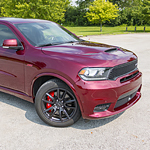 See the 2019 models in our Autoworld Dodge Chrysler Jeep RAM showroom and take a little drive. Compact SUVs often tout their performance features when trying to sell themselves to consumers. 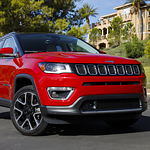 And while the performance features of the Jeep Compass are impressive in their own right, the exterior features should not be overlooked either. That is why we here at Autoworld Dodge Chrysler Jeep RAM located right in Petaluma are so excited to tell you all about the new model! The new Ram ProMaster is a true workhorse. 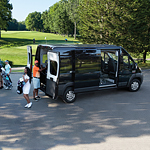 This popular cargo van is equipped with a bevy of capability features designed to power you through any challenge in your work or personal life. The Ram ProMaster enthusiasts at Autoworld Dodge Chrysler Jeep RAM are eager to show you how you can put this venerable vehicle to work for you. Our team at Autoworld Dodge Chrysler Jeep RAM is always prepared to provide our consumers with information about the vehicles at our dealership. 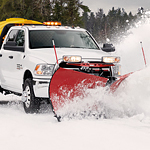 If you are in search of a heavy-duty pickup truck, the Ram 3500 is an exceptional truck that comes equipped with many features. You can read about a few of its exterior features below. Car Covers Make a Big Difference! We at Autoworld Dodge Chrysler Jeep RAM recommend car covers to our clients in Petaluma. We love helping customers come up with ways to protect the value of their vehicles. A car cover is a small investment with big returns! Protection from the sun and weather is necessary when you want to take care of your vehicle. Your paint, seats and rubber trim are all susceptible to cracks and fading from UV rays. If you have to park your car on a rough road, rocks are less likely to leave marks if they pop up and hit your car. 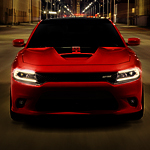 Are you a Dodge fan? The 2018 Durango is well known among Petaluma drivers as a popular mid-size SUV; but what else do you know about the all-new version of this fan favorite? 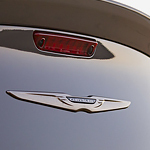 For example, what do you know about its' exterior features? What Features Makes A Vehicle The Right Fit For You? A large draw in whether a vehicle is the right vehicle for you is the behind the wheel experience. Questions about comfort and convenience should be asked and answered when making the decision. The 2018 Dodge Charger has included a number of interior features to ensure that comfort and convenience are problems that drivers never have.